It was asked by a co worker when I decided to file my resignation in a BPO company two months ago. It was asked by my sister who also just graduated this year and earned a bachelor’s degree in Radiologic Technology, which she boasts to be more financially rewarding than Nursing abroad. It was asked by my high school classmates, friends, relatives, and virtually every people who knows I’m a registered nurse. Kung puwede lang irecord ang sagot ko para di na ko mapagod kakaexplain sa kanila, ginawa ko na noon pa. But I have no choice but to tell them honestly that I took the nursing course because it was in demand back then and that no one had forced me to do so. 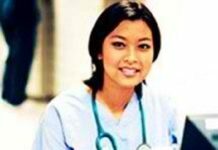 It is a typical answer that doesn’t make any sense as far as the present state of nursing employment is concerned. I remember when I shifted from Biology to Nursing way back in 2006, I was bombarded with ideas like “Hindi ka yayaman sa pagdodoktor” , “Mag-nursing ka na lang” , and all that kind of ‘practical suggestions’, so to speak. I eventually took up Nursing, survived the grueling studies coupled with rigorous clinical duties, and graduated early this year. I have discovered two things almost 5 years after I decided to take up nursing: One, I’m glad that I didn’t take up Medicine because I fell in love with Nursing in the process and lastly, the idea that Nursing would lead to greener pasture was a trap and an eye-opener at the same time. It’s as if a reversal of nature is happening and the same people who gave me the aforementioned ‘practical suggestions’ are now telling me that “Hindi ka yayaman kung magnunursing ka lang”, “Magdoktor ka na lang” and all that kind of crappy stuff. Sometimes, I feel bad for earning the Nursing degree at the wrong place and at the wrong time. I envy those nurses from the early generations who got a lot of opportunities for them and I wonder if they are even aware that the words “volunteer” and “contractual” now represent the current batch of Filipino nurses. 1. It’s tough to be a USRN. 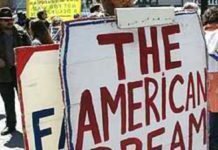 We all want to work in the US if given the chance. American nurses, they say, are one of the most financially blessed nurses nowadays but how the heck can someone like me become a USRN if the US is closing its doors for foreign applicants and even struggling to provide jobs for its own American nurses? I heard that they are now processing Visa applications from way back 2005 but this is more of a discouraging news for someone like me who doesn’t even have a financial capability to take NCLEX and pay for all the requirements not just for US and for other countries as well. Kung puwede lang na mag-asawa ako ng Kano..kahit girl, boy, bakla, or tomboy man yan, papatusin ko na maging US citizen lang ako…. 2. 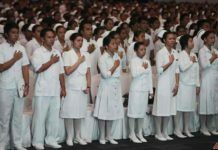 It’s tough to be a USRN but its even tougher to be accepted as a nurse in the Philippines. They always say every nurse should start from scratch and struggle to move upward. But how on earth can I start my career if I’m competing with thousands of nursing graduates for a hospital position that doesn’t even guarantee a long-term employment? Ma-hire ka man,utang na loob mo pa sa hospital na may experience ka pero wala namang bayad. In addition to that, there will always be these so-called “backer system” and expensive training requirements to stand in my way. It’s quite frustrating that the government is n0t able to regulate nursing schools during those times when nurses spread out like gremlins, increasing it’s numbers over the years. And what do I do now? Taking endless search and endless training that will just lead me to an endless waiting time. Kung meron lang sanang magic potion na puwede kong ilagay sa resume ko para iprioritize agad ng mga hospitals application ko…. 3. It’s tough to be accepted as a nurse in our country but its tougher to stay working in the hospital. Nurses have a lot of issues why they quit working in the hospital. 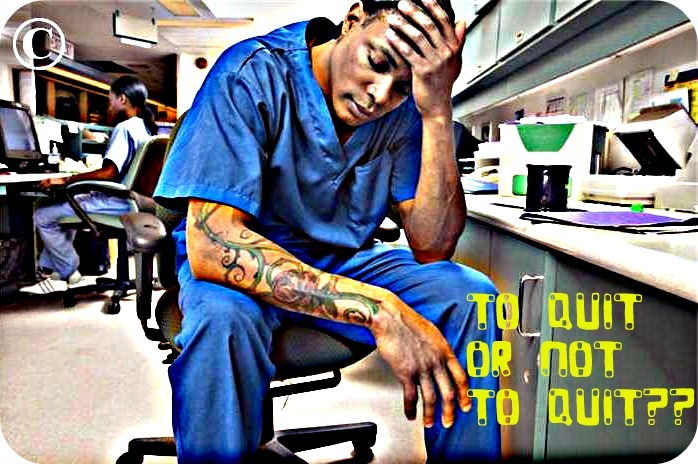 They are burned out, unpaid or underpaid, exploited, neglected, abused , and degraded by the hospital management. The dismal condition of nursing employment and the unfair nurse-patient ratio are pests that will keep on recurring unless properly addressed. Nursing is a tough job so we can’t stay doing charity works for the rest of our lives. I’m tired of hearing cliche like “I want to be a nurse because I want to save lives” because there a lot of jobs out there that will allow you to save lives without even becoming a nurse. 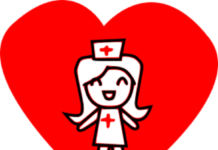 Admit it, we all want to be a nurse because we want better lives for our families one way or another. And nurses didn’t spend thousands of pesos for their nursing studies para lang magtrabaho dito at kumita ng halagang mas malaki pa sweldo ng katulong. Kung puwede lang na mabuhay uli si Florence Nightingale at maging presidente ng Pilipinas…..
4. It’s tough to be a nurse, period. I remember during the last day of my IVT Training at a Marikina hospital, the Director of Nursing shared how, at one point in her 20 years of professional life, she almost gave up and think of quitting Nursing for good. I was taken aback by her story and felt the hardships and trials she has faced during the span of her career. “Napakahirap maging nurse..tandaan nyo yan!” was her rant that has kept me thinking hard if my decision of quitting a high-paying job to go back to Nursing is the best decision for me. But look at her now and how her life turned out. She has climbed her way to the top and have realized that she has survived those tormenting days at the Pediatric Ward not because she had no choice but because her love for her profession is insurmountable. Kung puwede lang na lakas ng loob, sipag at diskarte na lang ang labanan sa Nursing, eh di sana marami na ring umasenso tulad ko…..
Again, one can quit nursing and decide to leave it for good in just one day. How? By just allowing oneself to get discouraged easily by those reasons above. I, at one point in my life, hated Nursing and almost quit. But in the long run, I have realized that not every one can be a nurse and I couldn’t see myself doing other jobs in the future. I love caring people and I want to grow professionally even if the promise of working abroad is bleak for now. Are these reasons enough to make me a genuine nurse? I don’t have any idea. I just love what I’m doing and I know that Nursing is not all about money and benefits in the first place. It’s about being human and following what your heart wants you to do. I have a lot of what if’s and doubts about the future. Can a weakling like me have the courage and skills to withstand the rocky road of the nursing profession? I can’t answer it myself. The future might be gloomy for now but at the end of the day, it’s not who I was in the past but who I choose to be for the rest of my life that will matter significantly. I have the choice to quit Nursing in one day but I choose to love Nursing and it’s one decision that will stay unbreakable for the rest of my life. Update: I wrote this post a few years ago with so much passion that would make you think I was destined to conquer it all. However, times have changed. I’m already not actively using my Nursing license but thanks to my medical background, I’ve been able to establish a career in health/medical copywriting. I don’t consider myself a failure, though. This is just me trying to figure out what life I can have beyond the four corners of the hospital. dont worry there are several nurse out there who felt the same way about the nursing profession and I’ m one of them. Just last night I was really frustrated because I recently learn that I was not selected in the Rn heals program in my province here in bicol. But hey when I woke up and checked out my email this morning I was relieve and inspired by your statement. thanks for that… GOD BLESS YOU. 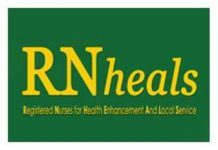 Thank you for submitting your article to Nurseslabs! 🙂 Hope your story can inspire more people. Thanks! oh no! please don’t quit.